Founded by Brendan Mullally, a Seattle native who learned much of what he knows about coffee from working at the headquarters of NYC favorite Joe Coffee, Elm Coffee Roasters brings a distinctly East Coast vibe to the world of West Coast coffee. In 2013, Mullally opened a modern café and roastery to help satiate his obsession with great-tasting coffee. Now, Elm Coffee Roasters serves its coffee in Pioneer Square, one of Seattle’s trendiest neighborhoods. We’ve dubbed this young roaster a major one to watch in Seattle. Like most contemporary coffee roasters, Elm Coffee Roasters puts a priority on sourcing the right beans. 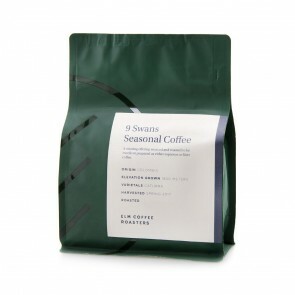 Elm aims to only use in-season beans to create the freshest and most flavorful coffees around. Elm Coffee is marked by its light roast, so it’s a great option for those of us who prefer our beans on the airy and approachable side. 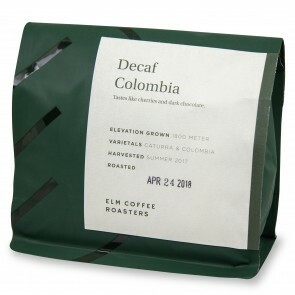 That’s not to say that Elm Coffee Roasters beans aren’t for the coffee classicist; On the contrary, they’re all remarkably full-bodied and complex.